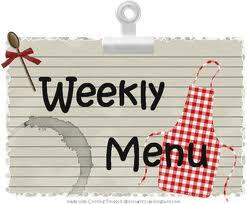 This menu is created around what is on sale at Publix this week. The sale runs through April 18th. Monday - Leftovers from your holiday feast or pick up a pizza. This night is all about easy after a busy holiday weekend. Saturday - This is a leftover night. You've worked hard all week - enjoy a break. Or plan a hot date and make reservations to your favorite dinner spot!